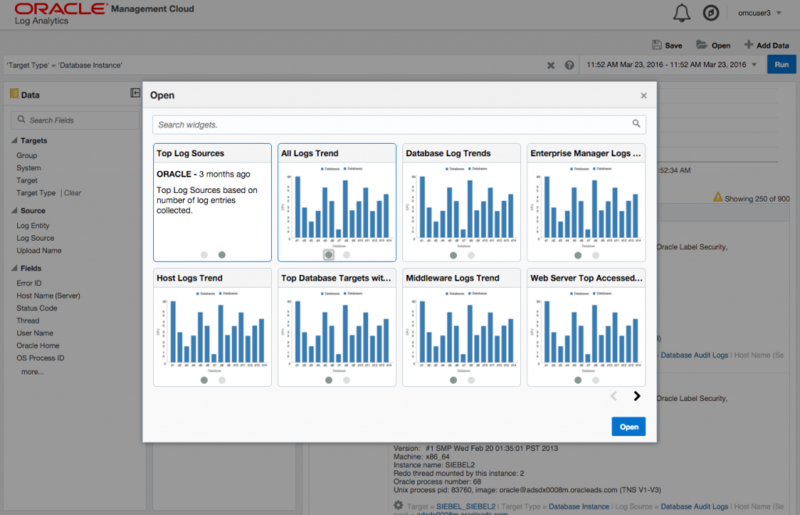 In this last overview post I will give you a first glance of the Oracle Management Cloud offering called “Log Analytics“ as I experienced it in an Oracle demo environment. 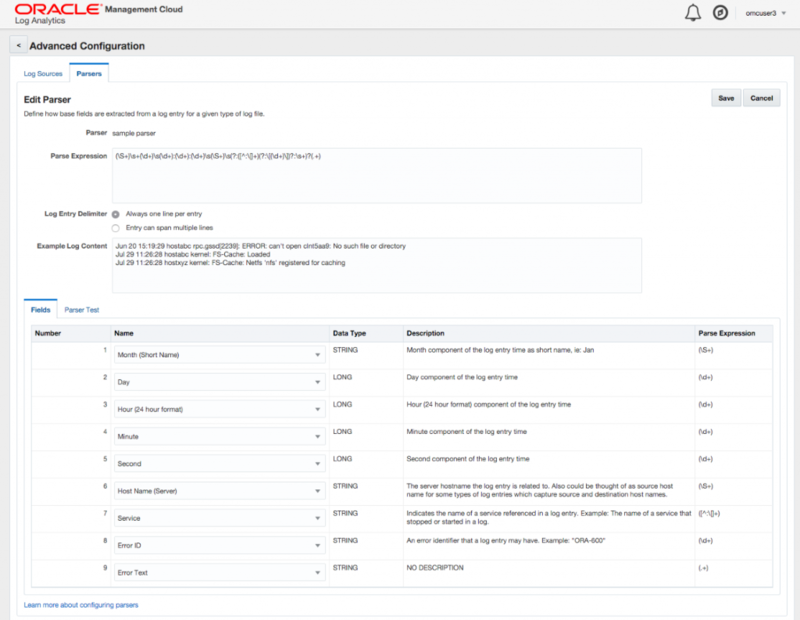 My company eProseed is an Oracle Platinum partner, therefore I had the opportunity to ask for a trial on a demonstration environment, but as is, therefore this is a demo overview and not (yet) of a trial account / own test environment (but hopefully near to the real thing). This demo environment is prepped by Oracle regarding, among others, an issue with a demo application called “Rideshare” (a “Uber” look-a-like kind of possible application). > all images are clickable, so you can zoom in to have a better look at all the details in the pictures. 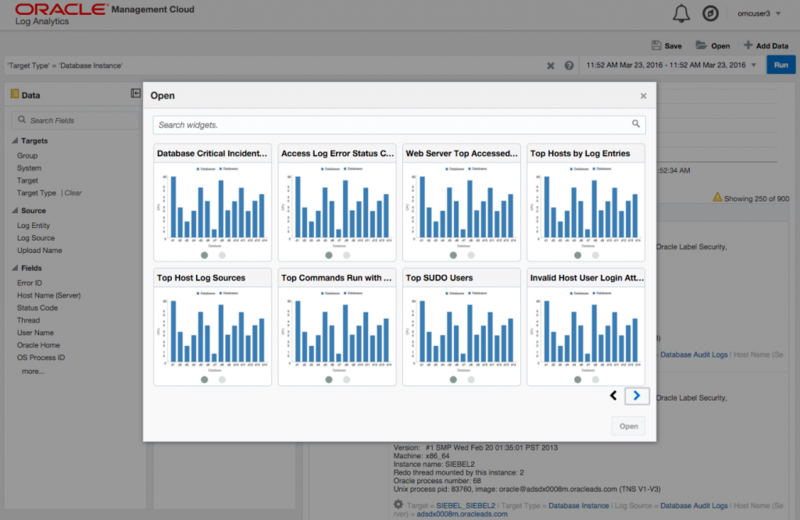 Oracle Log Analytics Cloud Service stores and correlates machine data from many different applications and devices, from smart phones to mainframes. After the latter short reminder/intro, you might start to wonder after reading the “Oracle Management Cloud” posts on this site: “Okay, fun, but where does the data come from…?”. Especially while using, “Log Analytics”, that is, doing most of the data digging yourself, its important to do one step back and try to see the whole picture. 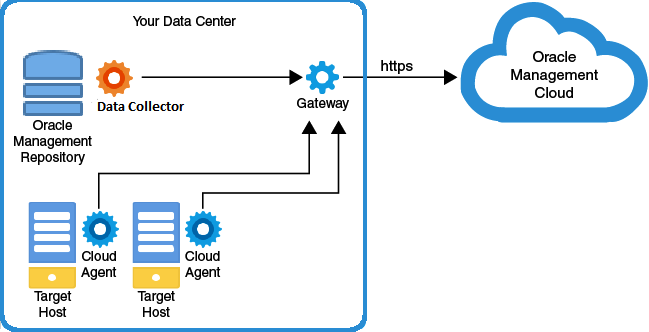 Gateway A gateway acts as a proxy between Oracle Management Cloud and all other cloud agents. Note: Deploy the gateway on one or more hosts with Internet access to Oracle Management Cloud. 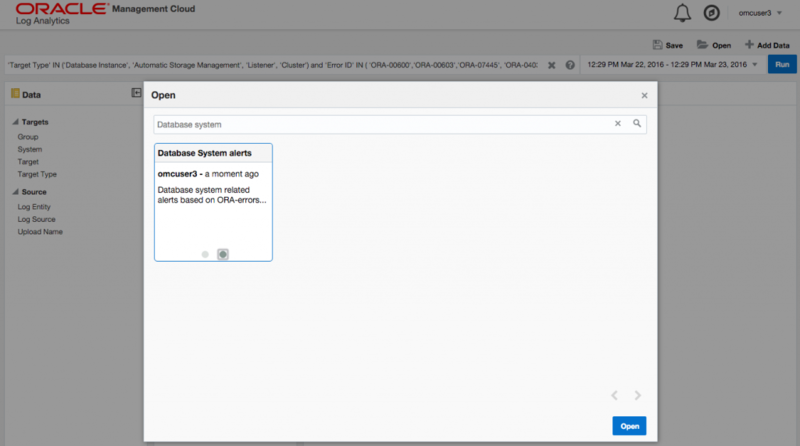 Data collector A data collector reads data from your Oracle Management Repository and uploads it to Oracle Management Cloud using a gateway. A data collector also collects log information from targets. 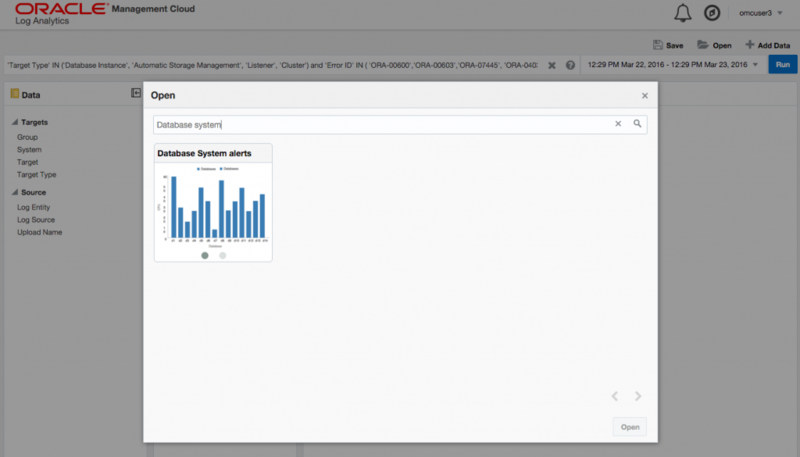 Note: Deploy the data collector on a host with SSH and SQL access to your Oracle Management Repository. 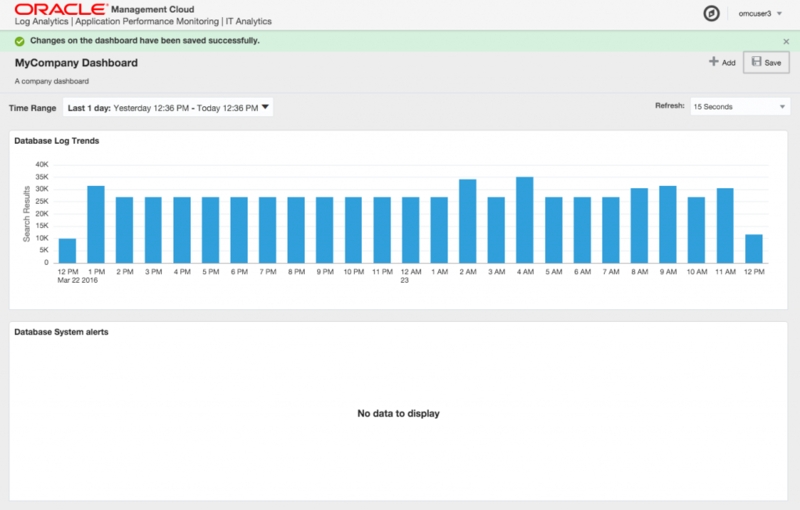 Cloud agent IT Analytics: A cloud agent collects Automatic Workload Repository (AWR) data from your database hosts. 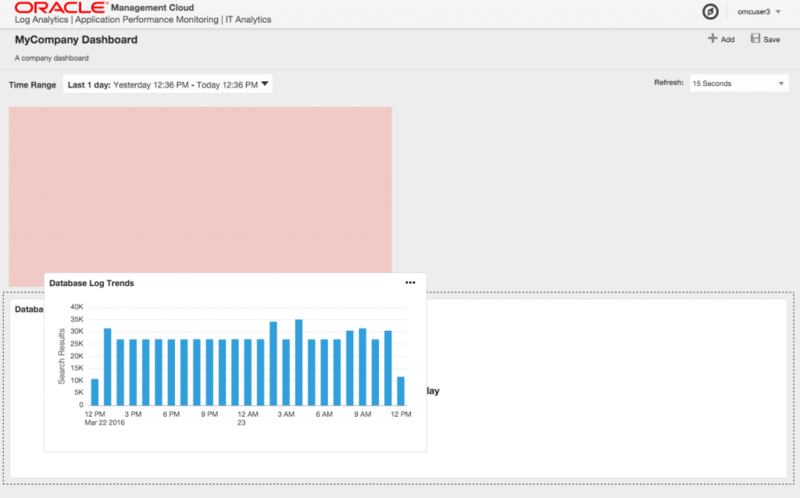 Note: Deploy the cloud agent on your database hosts.Log Analytics: A cloud agent collects logs from your target hosts. Note: Deploy the cloud agent on your target hosts for which want to analyze logs. 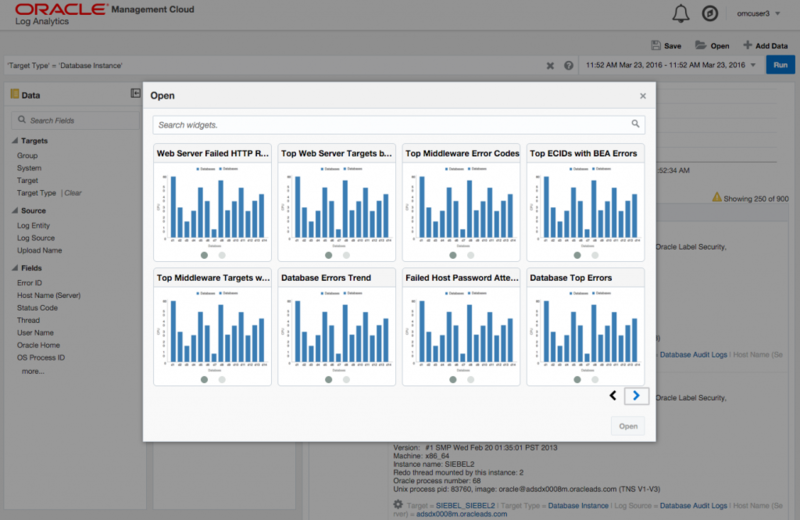 APM Java agent The APM Java Agent collects and shares data about the performance of the application to the Application Performance Monitoring web user interface, from where you can closely monitor your application’s performance. 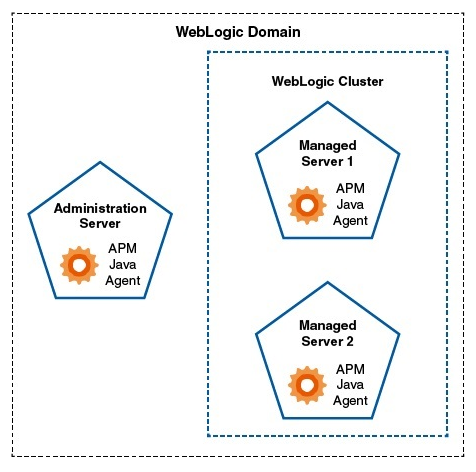 Note: An APM Java Agent is deployed on the WebLogic Managed Server where the application to be monitored is installed. 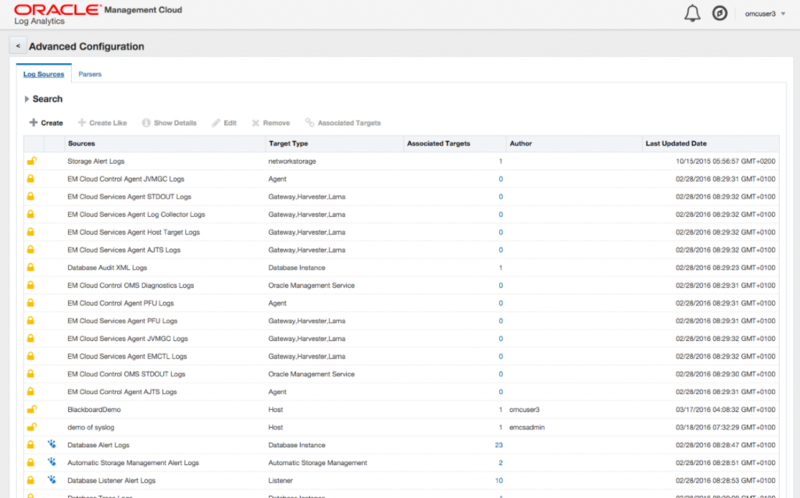 As you can see, in this page, via the menu on the left, registered gateway agents, data collectors, cloud agents and APM agents can be shown and managed via these pages. The section for “Registration Keys” gives you the ability to download, create or revoke used keys and via the “Download” menu page the initial needed “AgentInstall” software can be downloaded. Although via IT Analytics and Application Performance Monitoring services a lot of the following is automatically done, you can do more and or create your own data parsing methods. 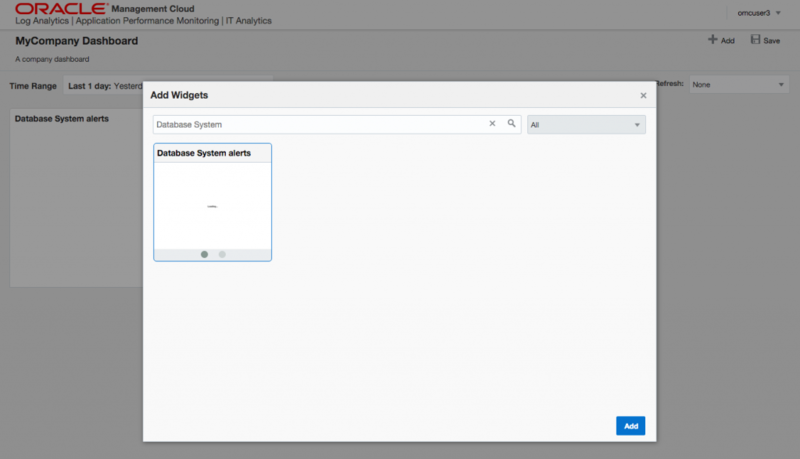 When you have setup the “pipelines” and the data comes in via the agents in the Oracle Management Cloud environment, you can use default data parsing and masking solutions and / or create your own. Have a look at the following pictures. An overview of log sources. The ones with an “unlocked” lock are hand crafted, the ones which are locked are default by Oracle provided sources and parsers. 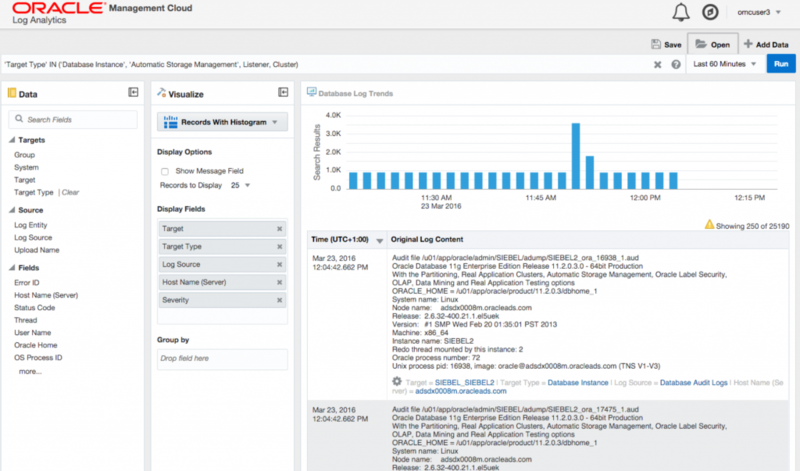 Log Analytics is far more data focused than the other two (IT Analytics / APM). By that I mean that you will have to do more thinking yourself, correlate content/data/facts, etc. You have to know your environment/data and its meaning. What Log Analytics you will provide with is indeed more “analyze and explore log data efficiently”. You are still able to create dashboards, widgets etc. and although Oracle still provides some defaults (/examples), Log Analytics has less “smart stuff” build-in than IT Analytics or APM. You are able, via Log Analytics, to dive in your data, sort it, group it, filter it, visualize it in multiple formats, etc, etc, etc, via drag and dropping target, source, fields rows from the “Data” into the “Visualize” column and immediately afterward “run” it to see the results. If you like your result, like for example the above one which shows an abnormality regarding a lot of generated audit files and enables you to zoom-in further into the problem via links or clicking on the bars, then you are able to save this log search as a widget. A lot of these are already available by default, besides the ones you create for personal use. 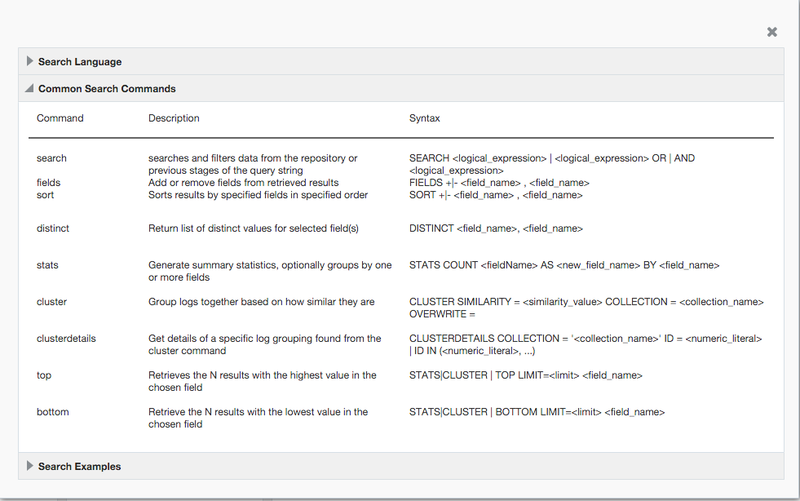 The “log analyzer” pages comes with its own drag and drop search facility to search etc data or you can do use an extensive search “language”. 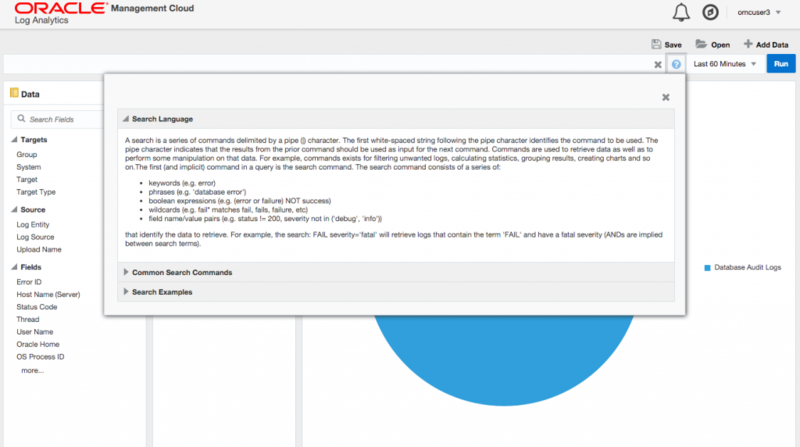 Have a look at the documentation regarding “basic search commands” to see whats possible. 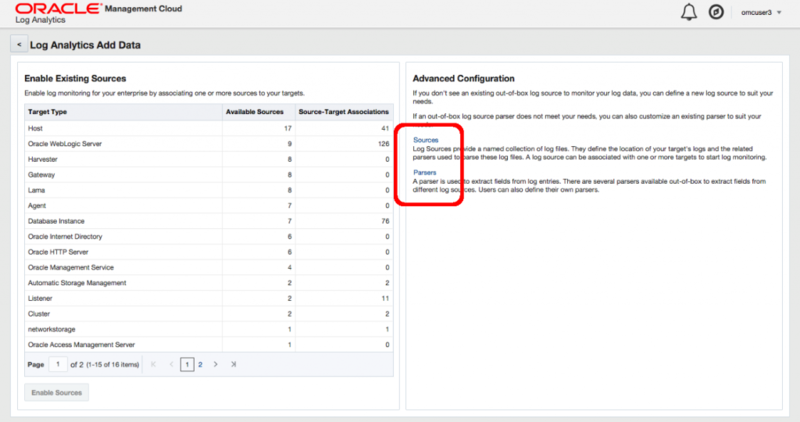 As said, if in the end, you like your log search, then you are able to save it and reuse it when you need it and/or reuse it as a widget in your dashboard. 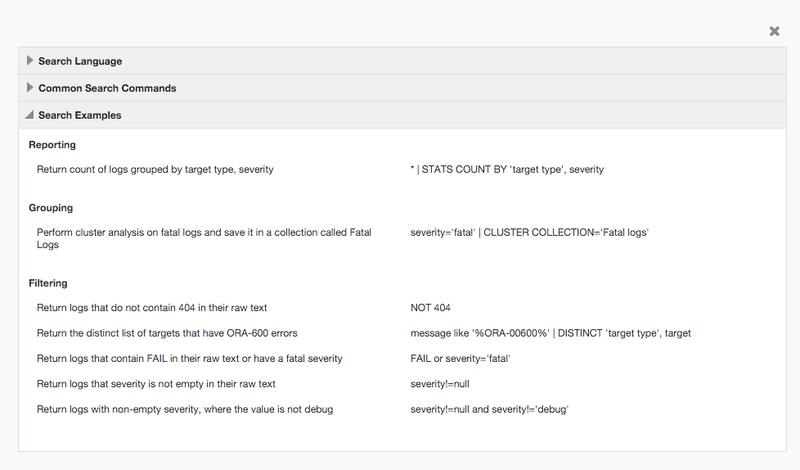 The following shows a simple attempt of mine to create a dashboard of a log search I reused in a imaginary “company dashboard”. Have a look at the pictures to get a feel of how or what you can do with the saved log searches. Probably also good to mention that there are “hook-ins” from, for example, Application Performance Monitoring in Log Analytics. By that I mean, that its possible to click on details in APM that end up on info of Log Analytic pages. In all its not yet clear to me what this, for example, has an result regarding licenses, therefore in these posts I focused on the technology first and tried to explain my current understanding of what it is and/or what you could do with it. 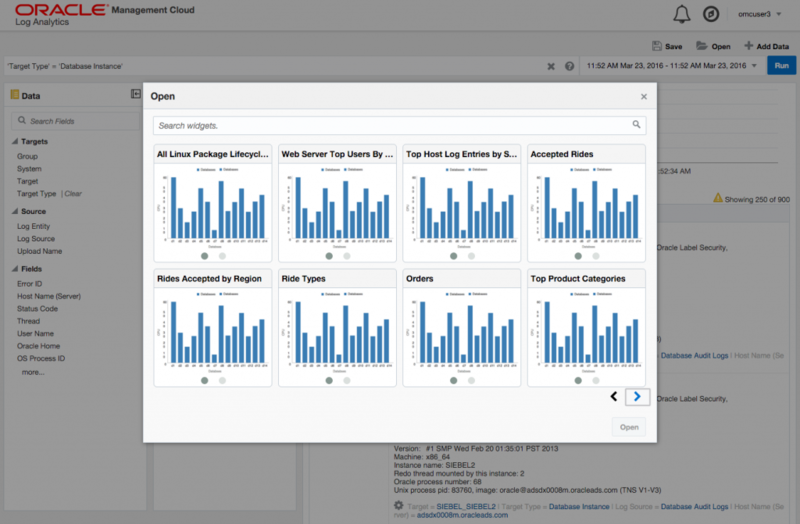 I hoped you liked this small series of Oracle Management Cloud service offerings, aka “Application Performance Monitoring”, ‘IT Analytics” and last “Log Analytics”.